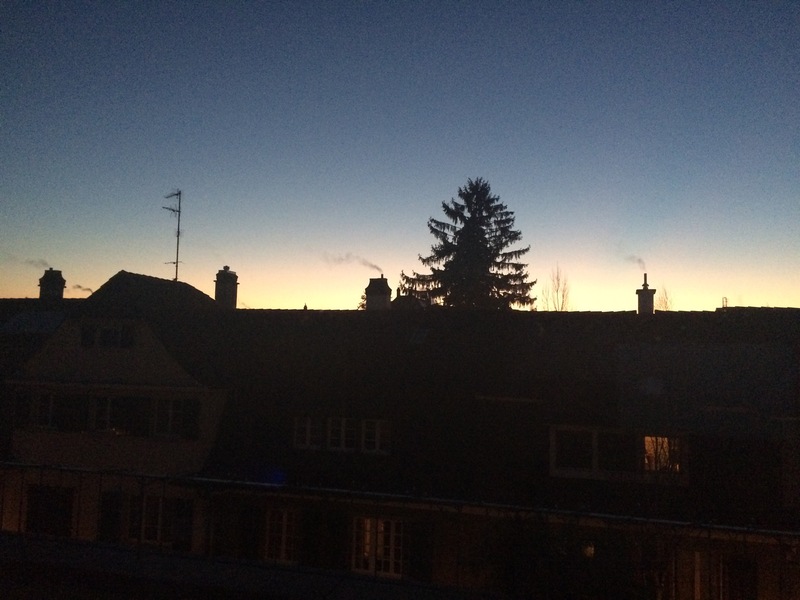 We have now lived in Basel, Switzerland for 5 whole months. It’s hard for me to believe it. It doesn’t seem like it’s been 5 months now. It feels more like 2. Or maybe 3. 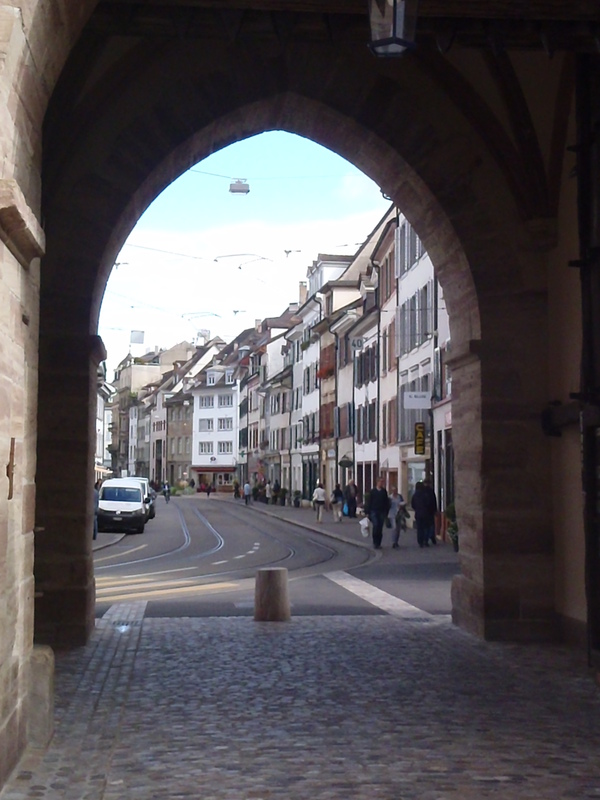 We have been all over Basel. 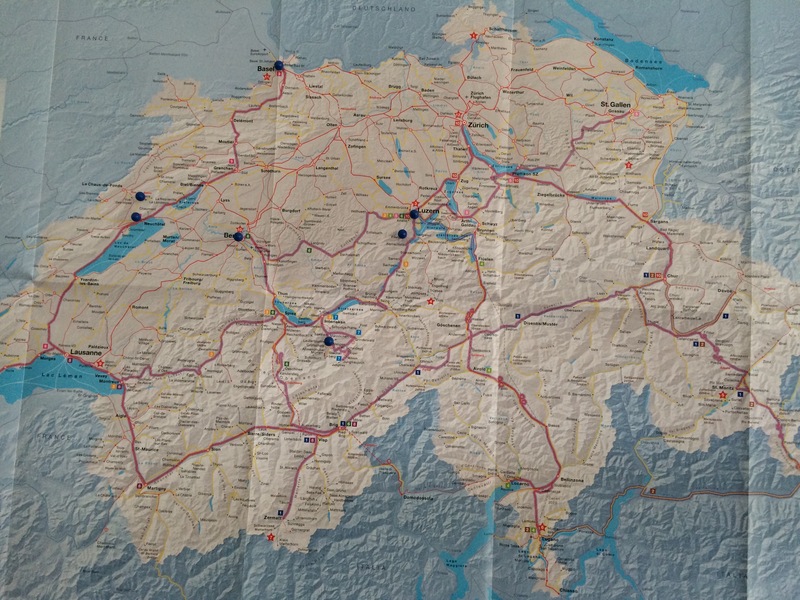 We’ve been to Bern, Lucerne, Geneva, Augusta Rurica, Neuchatel, and Wengen. Not to mention the little towns in France we’ve visited and our Germany adventure with Shaun. Part of the view on the train ride up to Mt. Pilatus..
Me in front of the Chapel Bridge, or Kapellbrücke. And, look! Mountains! The front of Neuschawnstein. It means New Swan Place. This weekend we’re off to Sedrun for a curling tournament and the week after that we’re going to Zurich, so we’ll be adding those pins very soon! And we haven’t even really gotten into our list of places we still need to see! We celebrated a birthday and several holidays. We’ve had a few visitors and we look forward to having a few more. The kids are at different stages of settling in. The 5 year old has stated that he doesn’t want to move back to the States. He’s made his friends here and he doesn’t want to have to go through all that again. The 9 year old is in the middle of the settling process. He misses his good friends in Maryland. He is making friends here, but not as deeply bonded with any as he would like. We’ve tried to explain that it took him 9 years to make all those friends in Maryland and it’s just going to take longer than 5 months. He’s going away to southern Switzerland for a week of skiing with his class in two weeks. The teachers have assured us that this time with his class will help immensely. ** I don’t know how people with nut allergies make it here. There are ground almonds and hazelnuts in everything. ** They love their festivals and they love their confetti. Faschtnacht is a carnival that happens at the end of February right at the start of Lent and they are already selling bags of confetti in the shops around town. ** There are little bakeries (and big bakeries) all over where people buy their bread and confections. I’ve found “the best” little bakery and that is where I buy my bread now. ** The typical Swiss dinner isn’t so much fondue as it is a nice cured meat and cheese tray with a mixed bread basket. I serve salami, a wonderful thinly sliced cured beef called “Bundefleish,” pate, and 2 or 3 kinds of cheese on a platter with some sliced fruit and tomatoes. I have at least 2 kinds of breads in a bread basket sliced up. The kids love it and it’s usually all gone by the end of the night. ** We are living in a different way here. We have more family time – in the evenings and on the weekends. Mostly, I believe, because the businesses here rank personal happiness and family over making a profit. If Mark works later than 6pm for many days in a row his boss will check in with him and get him assistance for his project if it’s necessary. I really wish the US would mature as a country and come around to this way of thinking. ** The tram lines and trains make traveling around the city and the continent a breeze. You barely need a car and that is what car rentals and car share programs are for. Seriously, US, get it together. ** The Swiss public school leave time for handicrafts for the students. The boys downstairs get instruction on crocheting, knitting, woodworking (one of them made a jigsaw puzzle for his brother! ), and origami as part of their lessons. I’ve only heard of this in Montessori in the States, but this is right in public school here! ** People smoke like chimneys. And while we’re on the subject of vices, it is not uncommon to see people drinking a tallboy of beer at a tram stop. ** The price of shoes is an indicator of how close we are to Italy. ** The sheer number of perfume shops is an indicator of how close we are to France. Only 13 months left. It’s hard to believe that we’re just over a year out from returning to the States. I find myself pondering how I will feel in a year. Will I be ready to leave? Will I be begging to stay? But I remind myself I will waste my remaining time here by pondering on that too much. The only thing I can really ponder is how can we pack in as much adventure as we possibly can while we are here.